What Are the Dangers of Bobcats to Humans? Skunks and raccoons may be nice to watch from a distance, but you don’t want them in your yard. 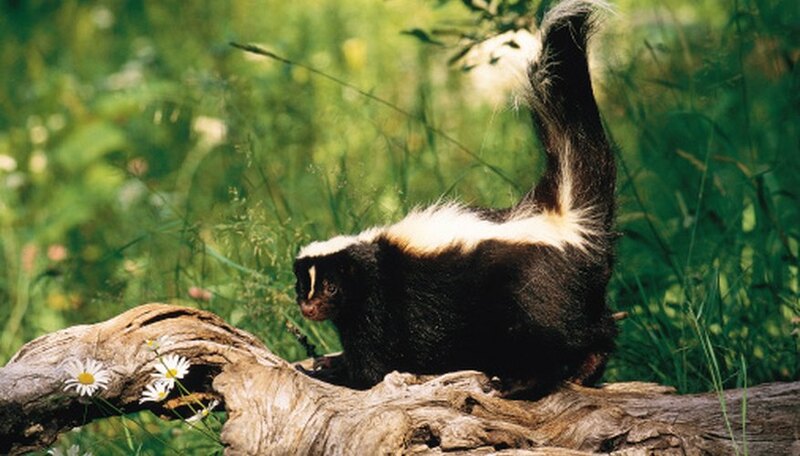 Skunks can spray people as well as your family pets. Skunks are apt to get into your trash, as will raccoons, making a mess. Both raccoons and skunks can carry rabies, and this poses a potential danger to you and your pets. Place chocolate bars outside. This is the bait. Chocolate is toxic to some animals, including skunks and raccoons. Animals aren’t capable of digesting the chemicals that are in chocolate. Eating it makes them sick. The animals will put two and two together, having chowed down on the chocolate in your yard, and will avoid your residence in the future. Dip some rags in ammonia and put the rags in open jars that you place throughout your yard. Leave the jars out for a couple of weeks. Ammonia is poisonous; most animals usually steer clear of it -- and your yard -- because the smell repels them. Affix floodlights to your house and turn them on at night. Raccoons don’t like to be in bright light and generally avoid it. Motion-activated lights are also a good idea. When a raccoon gets in your yard or close to your house, the lights will come on and the animal is apt to retreat quickly. Install a motion-controlled water sprinkler. Put it on a timer so that it works only at night. When a raccoon or skunk comes into your yard it is going to be blasted with water, which it won’t like. Use naphtha flakes, which have the same thing in them that mothballs consist of. Sprinkle the flakes around your yard. The flakes are poisonous to animals. However, skunks and raccoons won’t eat them. They will flee the area because they don’t like the odor. Purchase anti-raccoon and anti-skunk repellant that contains capsaicin, which is the spicy ingredient found in cayenne peppers. Spray it around the perimeter of your yard. This should keep the rascals away from your property. Construct a barrier of sorts around your yard, which will keep skunks away from your property because they do not climb or jump. Raccoons can climb, so you must make the barrier at least 5 feet in height to deter them. Contact animal control officers in your area and see what they recommend as a means of getting rid of skunks and raccoons. Ask if you are allowed to legally trap these critters. 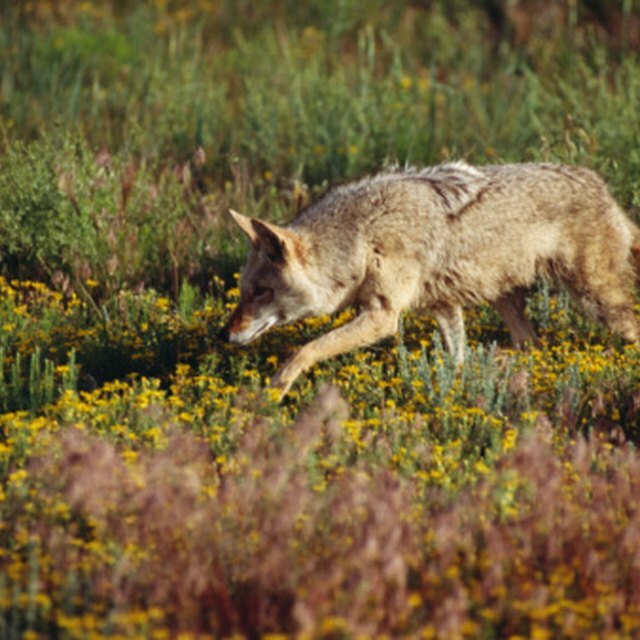 Often, animal control groups will provide traps and will relocate the animals if trapped. What Animals Will Fox Urine Repel? Pearce, Cindi. "How to Repel Raccoons & Skunks." Sciencing, https://sciencing.com/repel-raccoons-skunks-8678226.html. 25 April 2017.